Weed Brownies is probably the most favorite weed recipe of them all, up there with weed firecrackers and cannabis cookies. This is because everybody loves brownies as they are the perfect munchie food, and also because the recipe is surprisingly simple to make. For those who do not live near a dispensary, it is often easier to get some cannabis oil and make your own recipes with a personal touch. They will also taste better and you know exactly how much marijuana is in the mix. 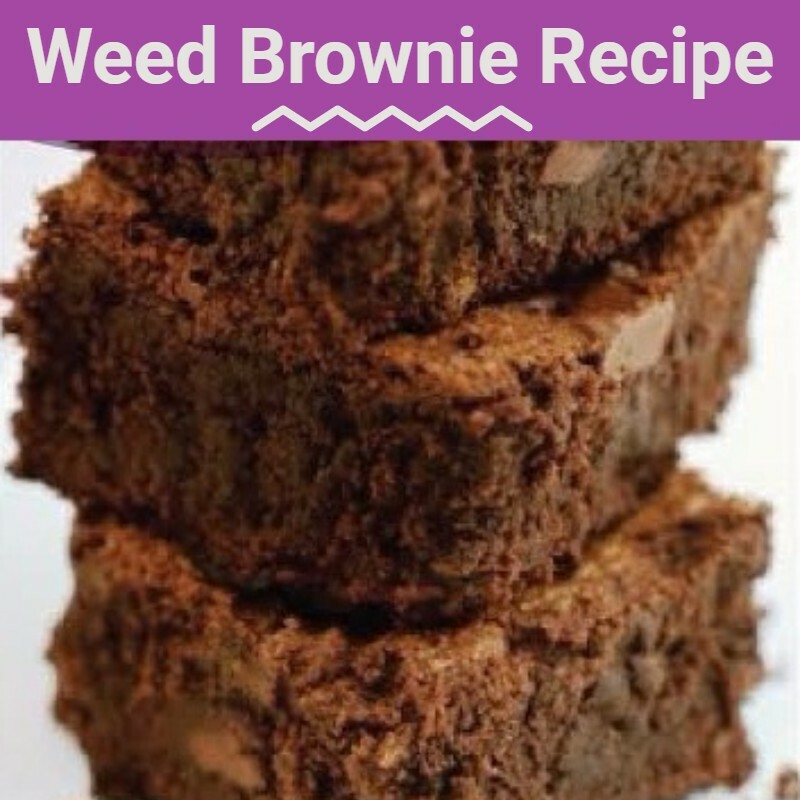 This recipe uses 1/8 of cannabis which is quite a lot, so feel free to alter this amount for less of a high. This recipe will also run through the process of making your own special cannabutter so you know how to make it for future recipes. Making your own cannabis butter is possibly better than buying it online. The first step is going to involve making the cannabis butter. Preheat the oven to 240 Degrees Fahrenheit and bake the cannabis for 40 minutes. The baking time will vary depending on how much cannabis you are using. Be sure to grind up the marijuana into chunks first and turn it a couple of times to ensure an even bake. This process is known as decarboxylating the marijuana. Set the marijuana aside when its cooked.Melt the butter in the saucepan over medium heat and add the marijuana. Let this simmer for 30 minutes. Strain this mixture through a sieve or cheesecloth into a bowl. Let it cool and you now have cannabutter. This recipe makes around a cup of cannabutter. For the brownies heat the oven to 250 degrees Fahrenheit and grease the baking tray. Place the chocolate in a sauce pan and melt it. Add your recently made cannabutter to the melted chocolate and mix. Slowly add in the eggs and keep mixing, one at a time. Now add in the salt, vanilla and coconut. Mix in flout, nuts and mint, if these are your preferences. Pour the mixture into the baking tray and bake for 20-30 minutes. Let it cool and cut into 14 pieces. You now have delicious weed brownies that are tasty, filling and weed infused.